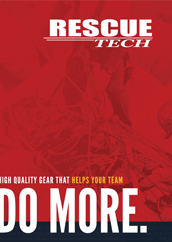 RescueTECH offers the best Ramfan ventilation products Confined Space Rescue and Technical Rope Rescue. Includes products by RescueTECH, Ramfan. Great for High Angle Rescue, Confined Space Rescue, Water Rescue, Search and Rescue. Ramfan EFi75 high performance ventilators. Features Ramfan's super quiet turbine blades. Duct for Ramfan Confined Space Blowers as well as most other brands of ventilators.